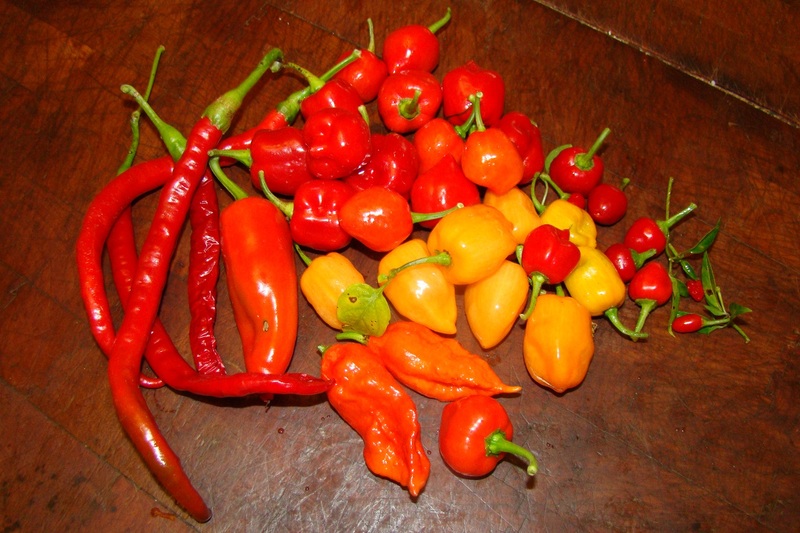 December is here, and so are blazing hot peppers! Since we moved out pepper plants to the greenhouse a few months ago, they have been going gangbusters! These are Habanero, Carribean Red Habanero, Joe’s Long, Joe’s Round, Thai Hot and Ghost. I’ve got these in the dehydrator for hot pepper flakes. Ghost peppers sell locally for $5 apiece, and seeds (for propagation) sell for $1 each online. We eat ours!